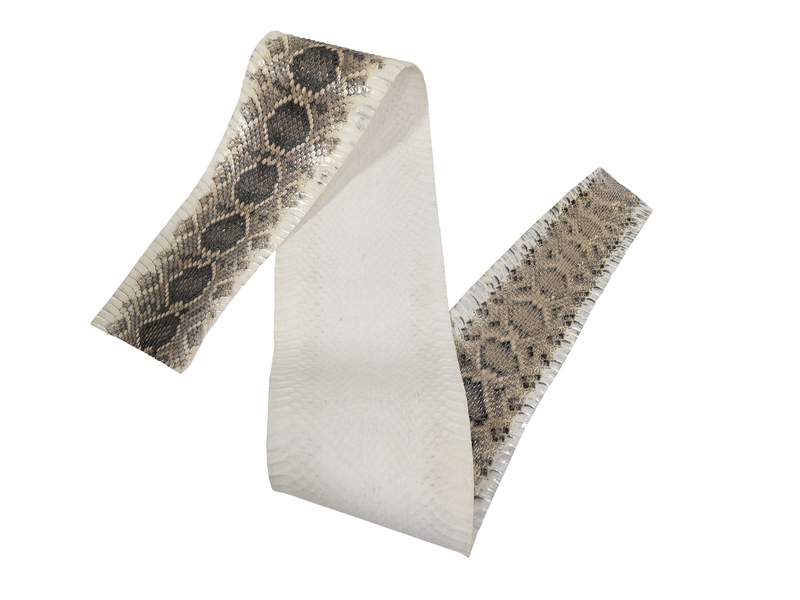 These are commercial grade Eastern or Texas Western Diamondback rattlesnake leather that can be used for manufacturing high end products. They are commercially tanned in the USA. Skins are approximately 4 feet long and weigh approximately 0.04 pounds. 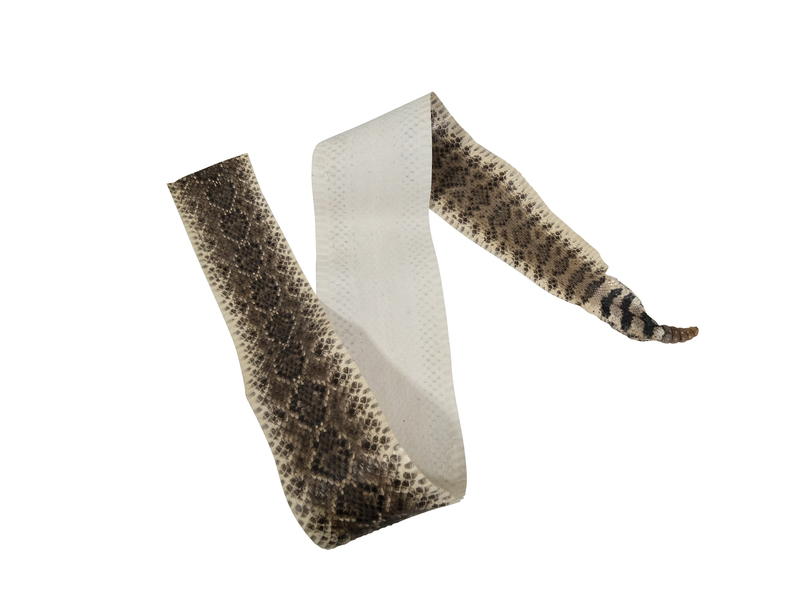 We sell assorted skins by the linear foot. They come in Natural or Bleached White. We also have select skins with or without rattles listed on our gallery. R-1344-SNR-Gxx Eastern Diamondback Rattlesnake Leather with NO Rattle:Gallery NEW! Genus and species of Texas Western diamondback rattlesnake: Crotalus atrox. Wild. Genus and species of Eastern diamondback rattlesnake: Crotalus adamanteus. Wild. Eastern and Texas Western Diamondback Rattlesnakes are not endangered.